Are you thinking about how you can get the most from your wedding photography? If so, I have written this 3 part article so you can help plan your wedding with photos in mind. Photos of the bride (or groom) getting ready, for me, forms an integral part of the day, and I find it hard to tell the proper story of your wedding day without being present from the beginning. I love the transition between the normal you and wedding-day-you, and all of the details that go into the transformation. If I had a pound for every time I'd heard a groom say to his bride 'What did you do for 5 hours this morning?' then I really wouldn't need to take photos for a living! Having a photographer with you from the first thing in the morning isn't as stressful as it might sound, and if anything, getting used to the photographer's presence from early in the morning will help you through the rest of the day. Furthermore, a good wedding photographer who isn't new to the industry, will have seen it all and probably done it all before. During my wedding career to date (which at the time of writing stands at 286 weddings) I've laced up 4 wedding dresses, buttoned many more and helped the occasional bride get her shoes on. With the bridesmaids busy getting themselves ready, it's no bad thing having a spare pair of hands! It sounds very obvious but it's a good place to start - whether you're getting ready at home or not, make sure you've got enough space for everyone who will be there in the morning. Whilst as a bride you might consider this to be yourself and your bridesmaids, you won't believe how small a room can get when you have yourself, your bridesmaids, a hairdresser, makeup artist, makeup artist's or hairdresser's assistant(s), the wedding flowers and a photographer in the there with you! 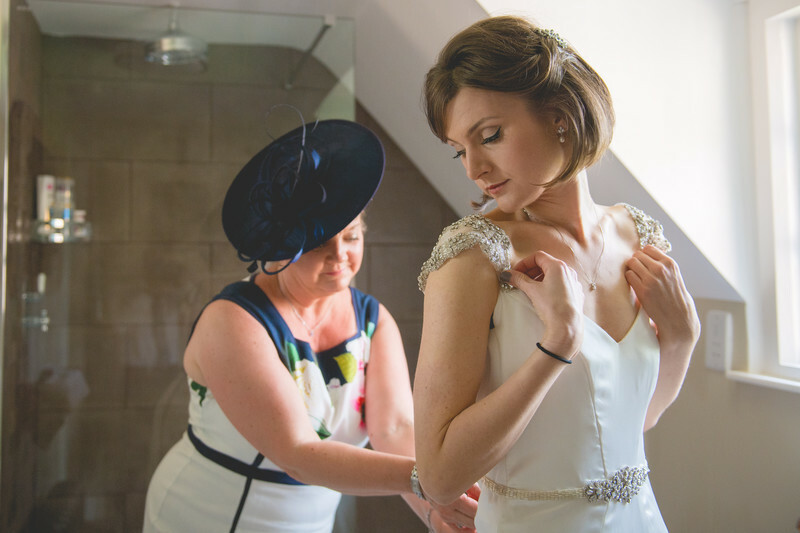 For those getting ready at home, most brides choose to get dressed in the living room, where there's usually the most space, thus allowing the mother-of-the-bride or a maid of honour to assist with putting the wedding gown on and tying it. If you plan to do the same, you can really save some time and effort by removing things like coffee tables from the room the day before. If you're considering getting ready at home, pay careful attention to the colours of various rooms of your house - whilst the living room or a bedroom may be large enough for you, are you going to regret having beautiful photos of yourself in a room where you can't stand the wall paper? If you don't think you have a space large enough at home that can accommodate everyone mentioned above, you might wish to consider hiring somewhere to get ready. 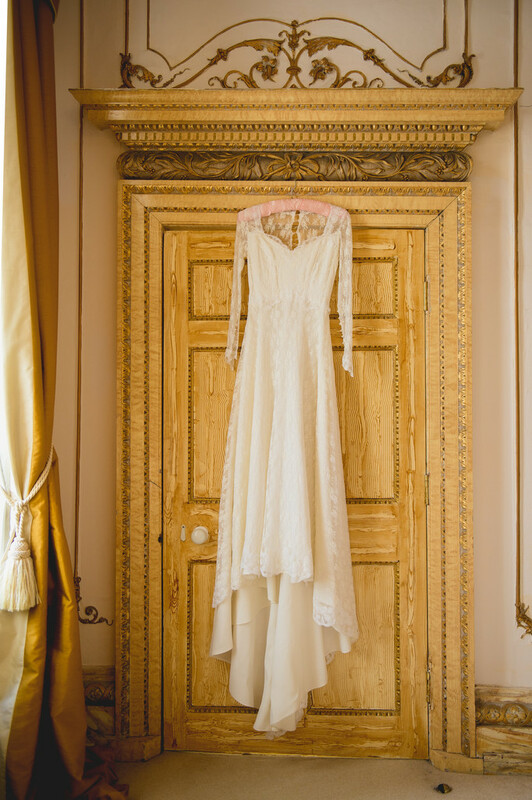 Many wedding venues have bridal suites these days, and these are usually custom made or designed to cater for your every need; plenty of lights and mirrors, power outlets for the hairdresser and coat-hooks which are 7 feet in the air in order for you to safely hang your wedding dress. Of course if you do hire somewhere to get ready on the morning of your wedding, you have the added benefit of not having to tidy it up yourselves afterwards! Getting ready at your wedding venue can also alleviate the stress of needing to travel between your home and the venue, putting aside the worry of getting stuck in traffic or a car breaking down. Not all light is good light though - photographers like quality, not quantity. If you're scouting for locations for your bridal preparation, and you really want to get the best from your wedding photography, choose a room or a venue that had the best natural light, and if you can, avoid the need to use artificial light to illuminate the room. Artificial lights can throw up all sorts of colour casts, and whilst you can remove some of the incorrect colours in post-processing, it's not always entirely possible. 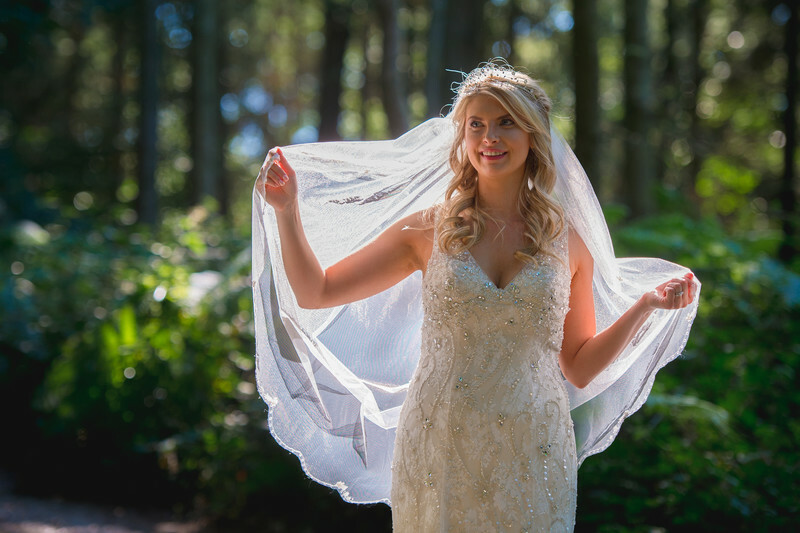 Soft, natural light is so much more flattering too - a small source of light coming straight down (such as a light bulb( creates harsh shadows that certainly won't help you to look your best in wedding photos. 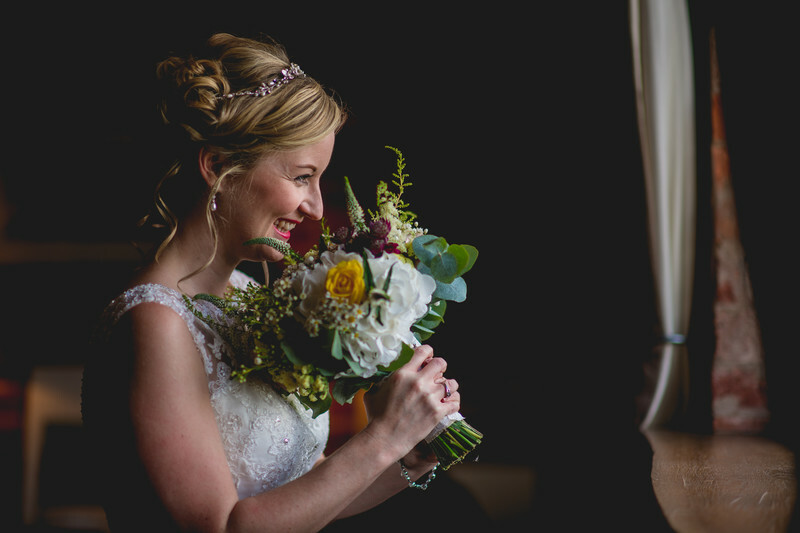 This stunning bridal portrait of Laura at Curradine Barns was taken right next to a large window. The light wasn't particularly bright but the light source was large enough that the light is delicate and makes her look perfect. Your wedding photos will last a lifetime, and when you look back at them, I'm sure you'll want to be presented with a crisp, clear recollection of your day. Having items strewn around your room when you're getting ready can really detract from your images. No one wants to see a pair of hair curlers or a discarded t-shirt in the background of the photos, so try to keep the area in which you're getting ready as tidy as possible. There's a lot going on during the morning of a wedding, especially with a bride and a multitude of bridesmaids all having wedding hair and makeup done at the same time, so spare your photographer some time and have everything you want photographed out and easily accessible. This may include things such as earrings, a tiara, perfume and of course those all important wedding shoes. 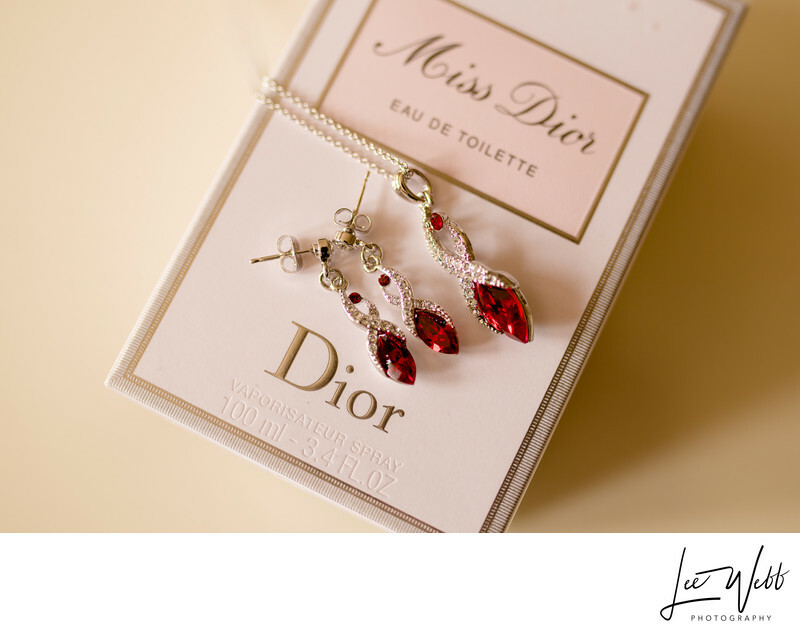 Don't rely on your photographer to know what to photograph either when it comes to wedding details - An item or keepsake that might be meaningless to an outside perspective might well be your most cherished personal item. If you want a photo of it, it's always best to make your photographer aware. Time is a precious commodity on a wedding, as everything has to run to a timetable that's often not dictated by you. A registrar will often have 4 weddings in a day, and if you're 30 minutes they'll have to leave. A chef might be able to put back a meal by 5 minutes, but if you're 30 minutes late the food won't be to the same quality you've experienced during your tasting session. Because of these constraints, the only time you can take from on a wedding day is the time between the wedding and the wedding breakfast - and this is the time you have your photos taken. If you have a hair or makeup trial before your wedding, you'll know what works and doesn't work, and your hair/makeup artist will know what you're after. Rarely is there time to have your hair started on from fresh, and the same is true for makeup. An ideal opportunity to see how you like your hair and makeup is during your engagement shoot - you'll see how it appears in photos and will still have time to make changes before your wedding. As a rule-of-thumb, from experience, I'd recommend adding 30 minutes to however long the hair and makeup artists tell you that you're going to require on the morning of your wedding. The last hour of bridal prep flies like nothing else I've experienced, and 60 minutes often feels like 10. What you don't need before your wedding is to be stressed, and you really don't want your hair and makeup artists to rush what they're doing either. 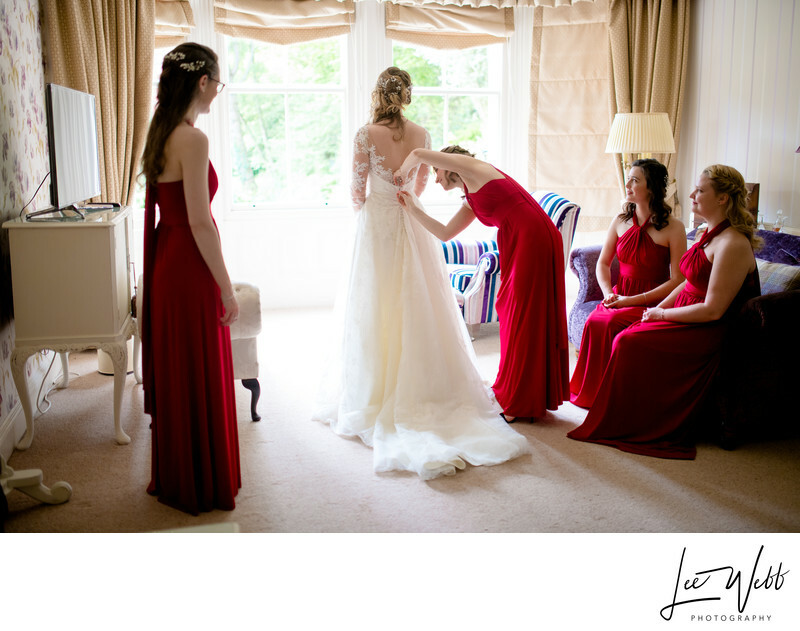 Build 'padding' into the morning, so you can take longer on one aspect if needed and if not, you can relax and have some gorgeous photos taken before you leave for the ceremony. Having photos of the bridal prep isn't all about lipstick and earrings. It can be about emotion too. For impactful photos, make sure you have the people you're closest to with you there on the morning. 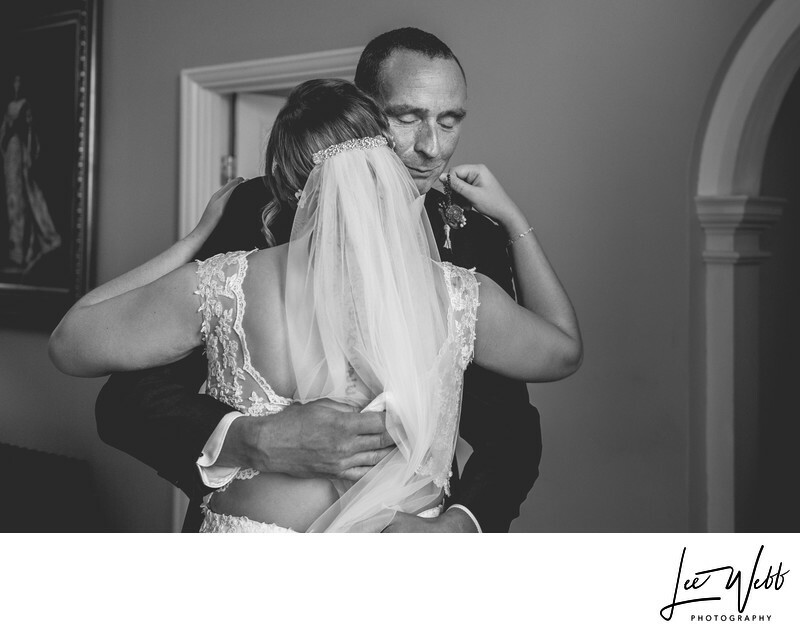 One of my favourite photos to take is the father of the bride seeing his daughter in her wedding dress for the first time, so I'd recommend putting a few minutes aside for this to happen. Spending a few moments with your parents before you leave can really produce some powerful and emotive images. Typically, hairdressers and makeup artists will want to work on the bride last so they look fresh for the wedding, however this isn't always what I'd recommend. If you're conscious about not having enough time, it might be worth suggesting as a bride that you want to have your hair and makeup completed first. After all, you can always have a touch-up before you leave. 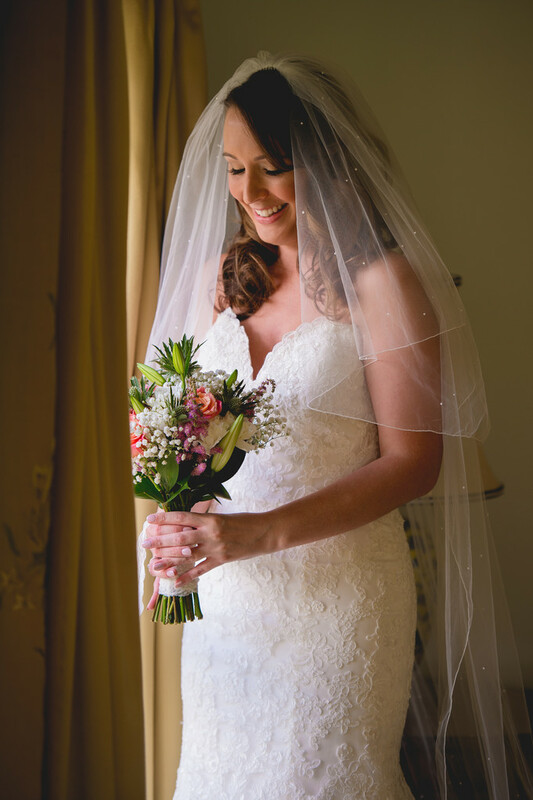 Being seen to first means that you'll be ready earliest, allowing more time for some stunning bridal photos before you need to leave for the ceremony. If hair and makeup are running late, isn't it best that they're working on a bridesmaid whilst you're relaxing and being photographed with your loved ones? You pay a wedding photographer a lot of money to be there on the day, and a good wedding photographer will bring with them a wealth of experience from years of working in the industry. If you have a question or query about anything to do with your wedding photography, ask your wedding photographer. Don't feel like you're troubling them by asking loads of questions or going over the same point time and again to make sure you're happy. It's your wedding day, and the people you pay to provide a service should do just that. My clients can contact me 24/7 to discuss their wedding plans, even when I'm not in the country.